Today marks two weeks in Rio. It’s been an insane blast of a ride and I couldn’t be happier with my time so far. I’ve never felt more alive, more in the zone, more in a constant state of flow in my entire life. Brazil is a never-ending rabbit hole of new musical discoveries. It’s the first country I’ve been to in my life that has this wide of a selection of music, other than the good ol’ USA. It’s musical abundance galore. For one, I’ve been falling asleep to this playlist on Spotify every night. Nothing relaxes me better. I’ve spent many days lying in the hammock here reading my book with this playing in my ears. It’s a glorious delight. The Frank Sinatra of Brazilian Music. Love these dudes. Kinda like a Brazilian version of the Roots. Super mellow and chill. Probably my favorite music I’ve discovered so far. This is essentially Brazilian funk, which is a mix of African beats, house music, and latin flavor. The quintessential “boom cha cha, boom cha”, is a component of any beat you will hear. If you really want to get down and funky, just type in Baile Funk into Spotify and enjoy the ride. Similarly to music, for obvious reasons there’s also an abundance of dance styles as well. Music and dance are ingrained into the Brazilian spirit. Simply put, they get down. Here are the ones I’ve discovered so far. The best thing about all of these is that each style can be broken down into ten more styles. There’s a variety and a spectrum among each, all fascinating in their own right. Steps are slow and I picked up on this one pretty quickly. The hardest part is that you have to listen to the music to know when to turn, spin, etc, and I didn’t yet have the ear for this despite picking up on the initial steps quickly. Samba kind of blows my mind. In Forro you can look at people’s feet and get an understanding of how to do the moves. It’s easy to study the movements and mimic them on your own. In Samba however, try to look at someone’s feet and you will be left stupefied. The feet move so fast it’s hard to keep up. What’s even more incredible is that if you look at someone from the waist up it barely even looks like they are moving. It’s gonna take me a while to catch onto this one. More of a fighting style but dancing in it’s own right as well. It’s like dance-fighting. Pretty fun. Involves cartwheels and handstands and spins and flips so can get pretty dope if you become good at it. Here’s a video from when I was given an introduction while on a tour last weekend. A note on quite possibly my favorite experience in Brazil so far. Bear with me for a moment while I tell you a quick story…. While we’re looking down onto the street, a woman decides to walk out of her house. She looks like an older woman, Probably around 40–50, married with kids, slightly heavy set, probably recently cooking/cleaning. After about thirty seconds you can really see her feeling it. Just at that moment, the beat drops and BOOM (0:41). She starts twerking like no other. Instantly breaking it down with full enthusiasm as if no one in the world was watching and she didn’t have a care in the world. It was beautiful to watch. Just at the peak of her breakdown, she became conscious of if people were watching and looked in our direction. We stopped watching, and by the time we looked back she was already inside. Made from fermented sugar cane juice. It’s the basis for Caipirinha’s, the national drink of Brazil (Cachaça, sugar, lime). It’s delicious. My favorite part isn’t Cachaça itself though. It’s all the infusions. So far I’ve tried coconut, pineapple, ginger, corn(!? ), and another famous one called Gabriela (Cinnamon and clove). All have been equally delicious. Food so far has been good but nothing crazy. It’s a lot of rice, beans, chicken, beef, sausages, veggies and such. Nothing in particular that is earth shattering. 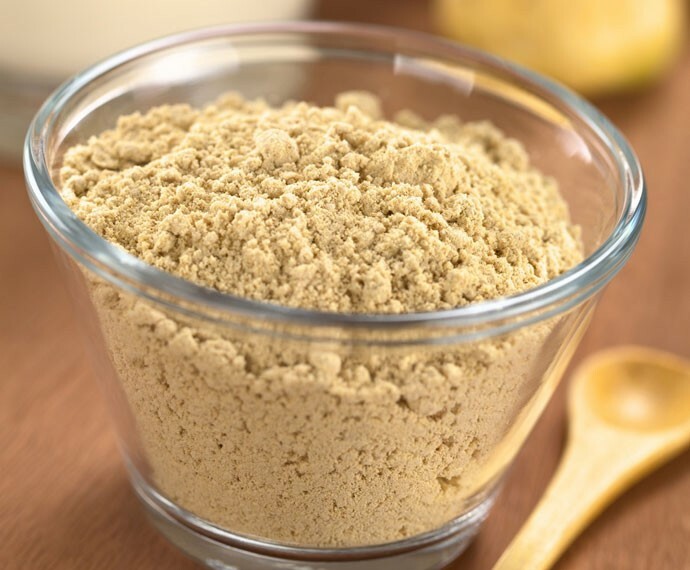 Literally translated into crumbs, Farofa is a toasted flour and cassava mixture. It looks like sand, and tastes like a salty powder. Sometimes it has small pieces of dried meat in there as well. Despite it’s simplicity, I find it delicious. I’m quickly adding it to every one of my meals as a staple. A stew of pork and beans. 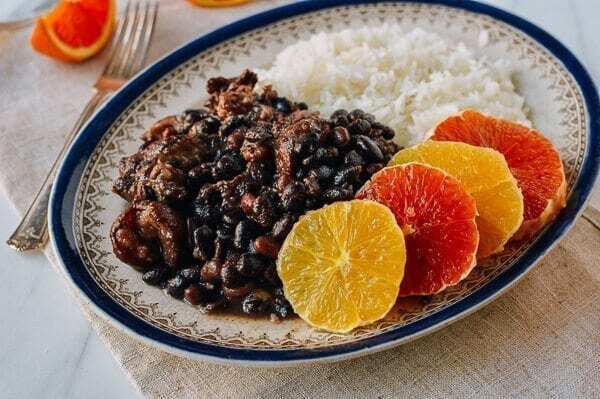 This is a Portuguese dish that is a staple in the Brazilian diet. Unlike normal pork dishes, they use the ENTIRE animal. This means feet, ears, and other parts where you don’t quite know what you’re eating. I’ve had this a few times, and personally think it’s just ok. If you like black beans and meat you can’t go wrong, but it’s nothing earth shattering. Barbeque — Throw a ton of meat on the grill and have a party. Who can argue with that! Disappointingly, the first time I tried Acai I got sick and threw up. Apparently they mix it with Banana in order to give it a sorbet like texture, and well, I have a banana allergy so that didn’t go very well. I’m not actually sure if I’m allergic, but for now I’ll be staying away from the Acai. Interested in hearing more about my experiences living in Brazil?